WASHINGTON — A Tennessee man and his family used much of the $187 million it collected for cancer patients to buy themselves cars, gym memberships and take luxury cruise vacations, pay for college tuition and employ family members with six-figure salaries, federal officials alleged Tuesday in one of the largest charity fraud cases ever, involving all 50 states. The joint action by the Federal Trade Commission and the states says James T. Reynolds Sr., his ex-wife and son raised the money through their various charities: The Cancer Fund of America in Knoxville, Tennessee, and its affiliated Cancer Support Services; The Breast Cancer Society in Mesa, Arizona; and the Children’s Cancer Fund of America in Powell, Tennessee. 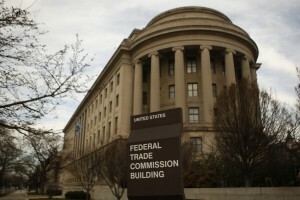 But little money made it to cancer patients, as the groups “operated as personal fiefdoms characterized by rampant nepotism, flagrant conflicts of interest, and excessive insider compensation” with none of the controls used by bona fide charities, the FTC said Tuesday. Anyone who donated money to these groups shouldn’t expect a refund anytime soon. While litigation against Reynolds Sr. and the Cancer Fund of America is ongoing, the settlement agreements with Reynolds’ son, ex-wife and a long-time associate of the family — Kyle Effler — notes that much of the money has already been spent. The agreement bans the three from fundraising and shuttered their organizations. “The money is mostly gone,” said Jessica Rich, director of the FTC Bureau of Consumer Protection. Rich declined to say whether a separate criminal investigation might be underway, noting only that the regulatory agency doesn’t have that authority. The Breast Cancer Society, which agreed to cease operations as part of the settlement agreement, posted a lengthy statement online Tuesday attributed to its executive director — Reynolds’ son, James T. Reynolds II — that blamed increased government scrutiny for the charity’s downfall. “While the organization, its officers and directors have not been found guilty of any allegations of wrongdoing, and the government has not proven otherwise, our board of directors has decided that it does not help those who we seek to serve, and those who remain in need, for us to engage in a highly publicized, expensive, and distracting legal battle around our fundraising practices,” according to the statement. Reynolds’ ex-wife, Rose Perkins, ran the Children’s Cancer Fund of America. That group’s website also was taken down. According to the complaint, the organizations hid their high administration costs from donors and regulators. The groups filed public financial documents saying they had taken in more than $223 million “gifts in kind,” which would be distributed to international recipients. Investigators say that number was inflated and helped to create the illusion that the groups were being more efficient with donated money than they actually were. According to the FTC, 36 states alleged that the defendants filed “false and misleading” financial statements with state charities. The settlement agreement imposed hefty judgments based on the amount of money donated to the charities between 2008 and 2012. But because of Perkins’ “inability to pay,” her $30 million judgment would be suspended entirely. The $65.5 million judgment against Reynolds II would be suspended after he pays $75,000. “I hope it serves as a strong warning for anyone trying to exploit the kindness and generosity of others,” Virginia Attorney General Mark Herring said of the investigation. Left: In one of the biggest charity fraud cases in U.S. history, the Federal Trade Commission allege that one family used much of the $187 million they raised for cancer patients to buy lavish gifts. Much of the money is gone , investigators say. Photo by Gary Cameron/Reuters.